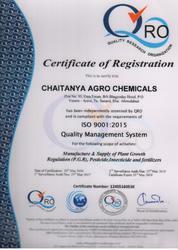 Chaitanya Agro Chemicals was established in the year 2007 at Ahmadabad, Gujarat is the prominent Manufacturer and Wholesaler of a wide range of Agricultural Chemicals, formulated with high graded chemical solutions to ensure the purity and effectiveness of the product. Our extensive range of products includes Plant Growth Promoters, Bio Insecticides, Organic Fertilizer, etc. These products are widely used in agricultural industries and are available in customized packaging. Backed by sophisticated infrastructure, we are equipped with advanced technology, latest machinery, and tools that help us to carry out smooth production processes. Adhering to the norms and rules of FCO, we formulate a highly precise range of products that cater to the varied needs of our clients. Moreover, separate sections are built up to maintain the systematic flow of entire production process. In addition to this, we ensure safe storage of the products in our spacious warehouse. We have employed a team of highly qualified professionals in our workforce to achieve our objectives. Our professionals are aware of their responsibilities and accomplish the task with full determination and potency. Owing to the meticulous efforts of our team, we are able to expand our business worldwide. Our company’s prime motive is to offer highest standards concerning the quality of our products. Thus, we undertake strict quality control measures throughout our manufacturing processes, to imbibe unbeatable quality into our products. They carry out regular quality control tests, starting from the stage of procurement of raw material till the delivery of finished products. We have been able to render maximum client satisfaction, because of our well competent and skilled team of professionals. 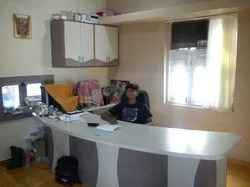 Therefore, our team ensures that the products are at par with international standards and in compliance with the varied needs of our clients, to achieve the organizational goal of providing the optimum degree of satisfaction to our clients. Under the headship of our mentor Mr. Manshukh Bhai Satani, our organization is moving ahead in this cutting-edge competition. He, with his knowledge and expertise, has enabled us to cater the demands of customers. Our unique and innovative concepts in the field of plant nutrients have given the agriculture industry new breakthroughs. These act as plant growth regulators and are highly efficient and have set benchmarks for our competitors. The raw material used in the formulation of these products are sourced locally from reliable vendors. Backed by modern manufacturing facilities, we are able to successfully meet bulk orders of our clients, without compromising on the quality front. Our workforce is the supporting pillar of our organization on which the foundations of our success is built. The coordinated effort of our team is necessary for achieving the targets of high production, client satisfaction & prompt deliveries. These professionals have valuable assisted us in catering to the various requirements of our clients. Our assiduous team works throughout the day to satisfy the variegated requirements of our clients. 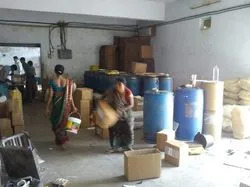 Owing to the great experience in the field of Manufacturing and Wholesaling of Agricultural Chemicals, we have been successful in achieving a distinct edge in the competitive market. Our products are formulated from the high-grade raw materials. These products are widely acknowledged for their reliability and purity. Our company is considered as a reckoned name in the markets of manufacturing and supplying of Agricultural Chemicals, Insecticides, Plant Nutrients & Promoters and Pesticides that are widely applauded for their purity and effectiveness. We formulate our products as per the client’s requirement. Our ethical business policies and standard quality service have succeeded us in gaining a distinct edge over the competitors.